The many species of lavender are woody shrubs with narrow, sweet fragrant foliage coloured bright green to silver, displaying spikes of tiny tubular flowers in multiple shades of purple, pink and white. Lavender and lavender oil have been used for medicinal, therapeutic and hygienic purposes for thousands of years. The ancient Druids threw lavender into bonfires at the midsummer solstice and used it in love spells. The Egyptians used it for embalming and in cosmetics. The Romans scented their public baths with it, in fact its name comes from the latin word lavare, meaning to wash. In the mid 17th Century, bunches of lavender were fastened to the wrist because it was believed that it could help prevent catching the Great Plague. 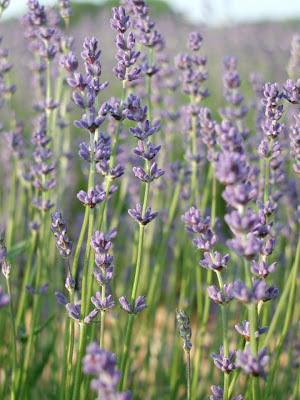 Lavender was also used in World War 1 to disinfect floors and surfaces in hospitals and as an antiseptic to heal wounds. I love the fact that we can just cut a few flowers from the garden and be able to create household cleaners and disinfectants with little more than just water and a few handy household products which most of us have in the cupboard. Lavender is probably the most versatile herb for use in the home because of its antibacterial, antiviral, antiseptic, anti-fungal, mildly analgesic, deodorising and insect repelling properties. Generally, it is deemed very safe for household use. However, allergic reactions may occur from ingesting the aroma and from using on the skin so before using lavender essential oil or the dried flowers it may be wise to seek medical advice from a doctor or qualified aromatherapist. Do not use if pregnant or breast feeding. 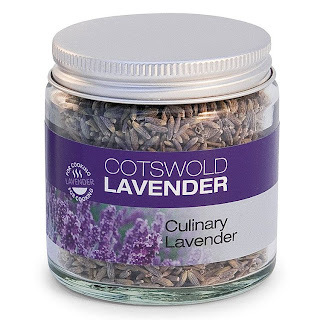 Half fill a glass jar with dried or fresh lavender. Add distilled white vinegar to fill the jar. Leave for three weeks to infuse. Strain the lavender flowers and decant into a spray bottle. Use as a dishwasher cleaner - add 125ml to the final rinse. This can be used neat or diluted with an equal amount of distilled water for lighter cleaning jobs. Don't use this on granite, marble or natural stone surfaces. Pour 250ml of distilled water into a spray bottle and add 20 drops of lavender oil. This can be used on all water safe surfaces to kill bacteria. Spray and leave to dry. Don't use on wood surfaces. Pour 250ml of distilled water into a spray bottle and add 10 drops of lavender oil. Avoid wood surfaces. Vodka acts as an emulsifier to bind the water and oil together. Known as eau de linge in France, this spray imparts a beautiful lavender scent when sprayed on to damp clothes before drying and ironing. Pour 500ml of distilled water into a glass bottle, add a quarter of a teaspoon of lavender oil and 40 ml of vodka. Put the lid on tightly, shake well then leave 24 hours before use. Transfer to a spray bottle before ironing. Dampen a few cotton wool balls and add a few drops of lavender oil. Place in your kitchen and bathroom bins to eliminate odours or anywhere else you can think of. Rub one or two drops of lavender oil on a clean cool light bulb and allow to dry. The warmth of the bulb will impart a lovely aroma into the room. Place a couple of damp cotton wool Lavender balls on the radiator. Mix equal parts of bicarbonate of soda with crushed dried lavender, sprinkle over your carpet, leave for an hour then vacuum. Not only does this freshen and help clean your carpets, the dried flowers in your vacuum cleaner will freshen other rooms as you vacuum elsewhere. To make some simple drawer and shoe fresheners, you just need a pair of old tights and some dried lavender. The easiest way is to cut off the foot end, stuff with some dried lavender and tie with a knot. To make a hanging lavender bag, cut a larger section off the legs of the tights, tip some dried lavender into the middle, tie once then tie the two ends again, making a loop. Hang the bag on a coat hanger or on a hook in the closet. I've got a few hanging in my wardrobe, so simple and cheap to make. The sweet aroma of lavender is well known for its calming and soothing effects. Its slightly sedative properties may even help sufferers of insomnia. Using the oil when washing clothes and bed linen may help relieve stress and anxiety and induce a more relaxed state of mind as well as making the washing smell nice. Insects hate the smell of lavender making lavender probably the number one herb for use as a natural and eco-friendly insect repellent. Although lavender oil is one of the few essential oils deemed safe to use neat on the skin be aware that allergic reactions may occur so it is sensible to take medical advice from a qualified aromatherapist or doctor before using it in this way. Don't use it if pregnant or breast feeding. Spray your clothes with the vodka linen spray above or use a simple clothes spray - add 10 drops of lavender essential oil to 500ml of distilled water or boiled water and pour into a spray bottle. Put a couple of drops of lavender oil on dog or cat collars to keep the fleas away. Moths also like to keep away from the smell of lavender so using the clothes sprays, lavender bags and home made drawer and wardrobe fresheners is a great way to avoid damage to linen and clothes. 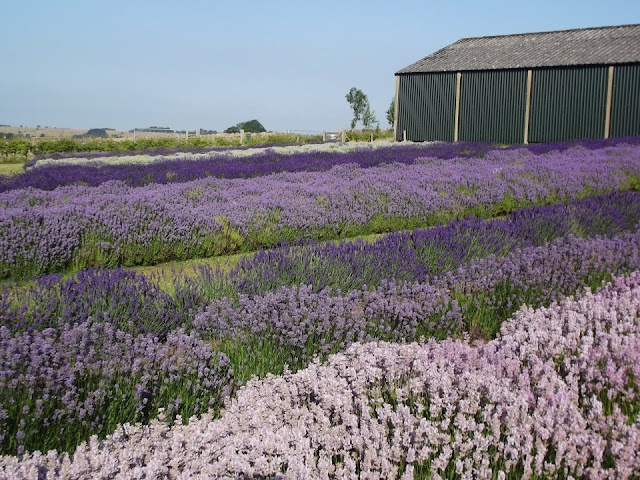 In this article I have discussed the uses for True or English lavender, Lavandula angustifolia. Lavandin, Lavandula x intermedia, is also available as an essential oil. Both types have their own individual uses for the home and for aromatherapy. So what are the main differences between them? 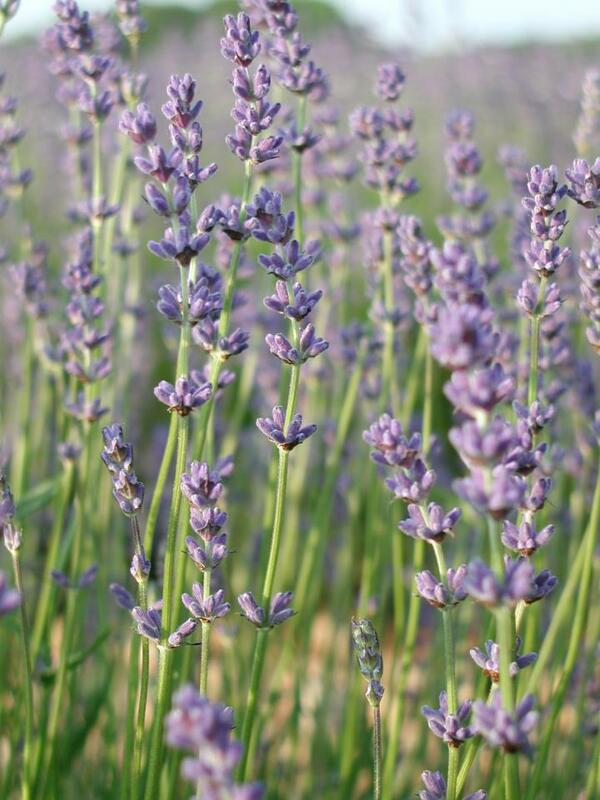 Lavandin is a sterile hybrid between Lavandula angustifolia and Lavandula latifolia (Spike lavender). 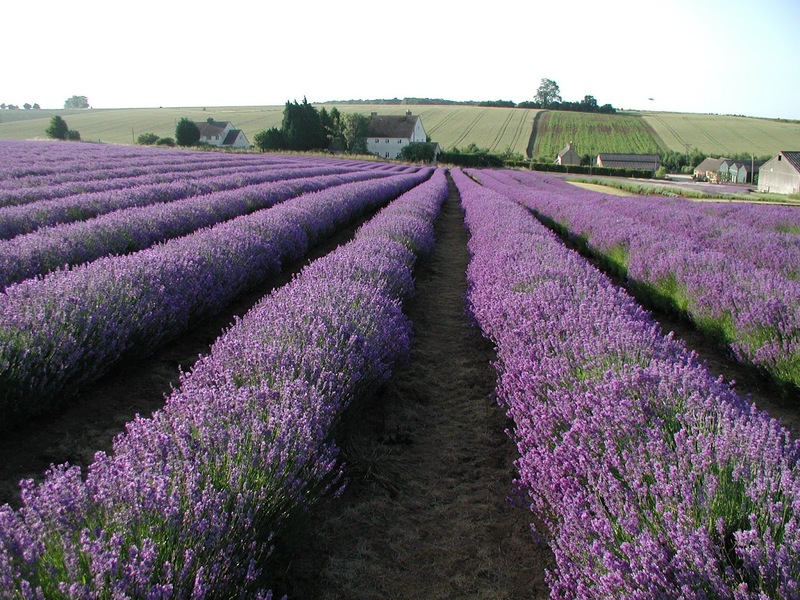 English Lavender has a sweet floral smell whereas Lavandin has a much stronger smell. The chemical make-up of both types is similar but the amount of camphor present in English Lavender should be between zero and 0.6% whereas it is between 6% and 8% in Lavandin..
English Lavender is more expensive because the bush produces a much smaller number of flowers and because the presence of camphor in Lavandin makes it unsuitable for use in high-end perfumery. Only English Lavender should be used for relaxation and calmative applications. Lavandin is perhaps a more superior insect repellent because of its strong fragrance. Only English Lavender should be used in cooking, it is always wide to buy specially prepared culinary lavender. I would like to thank Cotswold Lavender for kindly giving me permission to use some of their pictures in this article. If you live in the United States and are interested in purchasing some of their products, please Click Here.